Home / MOVIES / [REVIEW] “Begin Again” (2014): “Once” again? [REVIEW] “Begin Again” (2014): “Once” again? 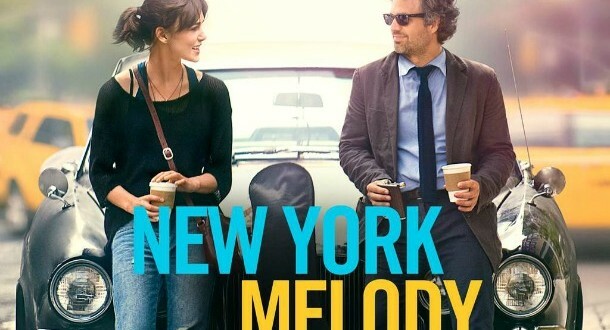 Once’s director John Carney is back with another ‘musical’ set in NYC: Begin Again. Despite a pretty attractive cast with Keira Knightley and Mark Ruffalo, can this new opus keep up with Once’s success? Gretta (Keira Knightley) and her boyfriend has just arrived in NYC. The city is magic for them that they have been offered to come and live fully their passion: music. The dream will break and the idyll will shatter when, blinded by the rising glory, he will leave her for a solo career and… a press officer. Her suitcases ready and her return ticket to London in her pocket, she decides to spend a last night in New York with her best friend. A remake of the movie Once ? John Carney has been criticized for making with this new film, Begin Again, an U.S. remake of Once. But he has defended himself by comparing his music movies to paintings that you will hang on a wall: “people can then assess them when there are 10 of them” (see http://www.irishtimes.com/culture/john-carney-goes-urban-musical-once-more-1.1862099?page=1). I find the argument quite right: John Carney simply sees the possibility of a revival of the musical cinema, a genre that has now deserted most of our screens nowadays. Between 1930 and 1950, while several musical films were released at the same time, nobody raised the question of the relevance of the umpteenth time appearance of Gene Kelly in cinema. There is therefore, in my opinion, no reason to spit in the soup: few filmmakers are capable of creating such musical compositions for their characters. What is more problematic is that the originality of this approach is modeled like the famous Hollywood narrative formula that built most of the romantic films. This narration without a soul or border is even more disappointing that John Carney has given us with Once the hope of building an Irish cultural identity through a film whose impact would be international. John Carney says that he used this first musical experiment as a springboard for achieving the more ambitious Begin Again. This decision questions the trickiest aspect of the problem; in an Ireland where to get a “local” movie is, even today, an impossible mission, was there a room for another Once? Maybe not. But it seems to me that the Irish film industry, more than ever, need ambassadors. By turning his back to the Irish film industry, John Carney turns his back on a country forgotten by box office and film magazines. Before investing internationally, it would be more logical to build the foundations of a national cinema on the cultural identity of the country, no matter how chauvinistic this may be. And this national effort will be part of the strength of the radiance of Irish cinema.